Carla Hurchalla, Cherie Skeeter, and Patti Weeg have organized an amazing professional development offering for teachers in Maryland's Wicomico school district. They call it Palm Camp. Approximately 20 campers (teachers in the school district) are spending the week learning about handheld computing. The campers spent Monday attending the Mid-Atlantic Handheld Conference. Instead of simply going to the conference and then having no follow-up, Wicomico's campers get to spend the rest of the week learning, discussing, and exploring ideas from the conference. 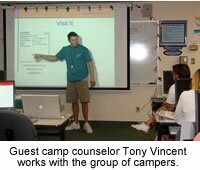 In fact, Tuesday I was their "guest camp counselor." I demonstrated a myriad of activities, strategies, and software for Palm computers. The campers got to participate in many sample lessons, so they were able to see handheld computing used in context. The best part was that the campers used these lessons as a springboard for brainstorming ways they can integrate handheld computing into their curriculum. The camp continues through Thursday. 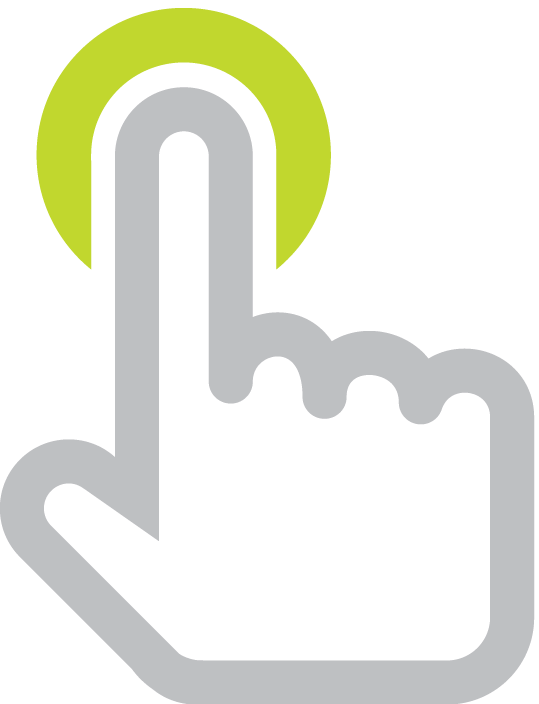 Campers will learn how to make eBooks, use iKWL, What-If Builder, and more. 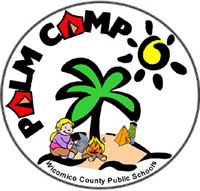 Wicomico's Palm Camp seems to be a highly effective way to deliver teacher training for handheld computing! A couple of the campers actually remarked that they can't wait for school to begin because they are so excited to use handhelds with students! To learn more about the camp and to see photos, click here.